Learning classical written Tibetan (offered at beginning to advanced levels) opens the door to the treasure-house of the Dharma. Tibetan literature includes thousands of translations of Sanskrit texts from India – many of them lost in their original language – and twelve centuries of writings by Tibetan masters. At all levels of study, students are introduced to sacred literature. Beginning with short prayers and visionary poems, students progress to magisterial texts such as the Heart Sutra, Shantideva’s Bodhicaryavatara, and the beginning chapters of Longchenpa’s Ngal-gso-skor-gsum. Tibetan is one of the four major languages for students of the Dharma, along with Sanskrit, Pali, and Chinese. By 1974, students trained by Tarthang Tulku were teaching courses in Tibetan language. The summer program in 1978 offered courses in both Tibetan and Sanskrit languages. 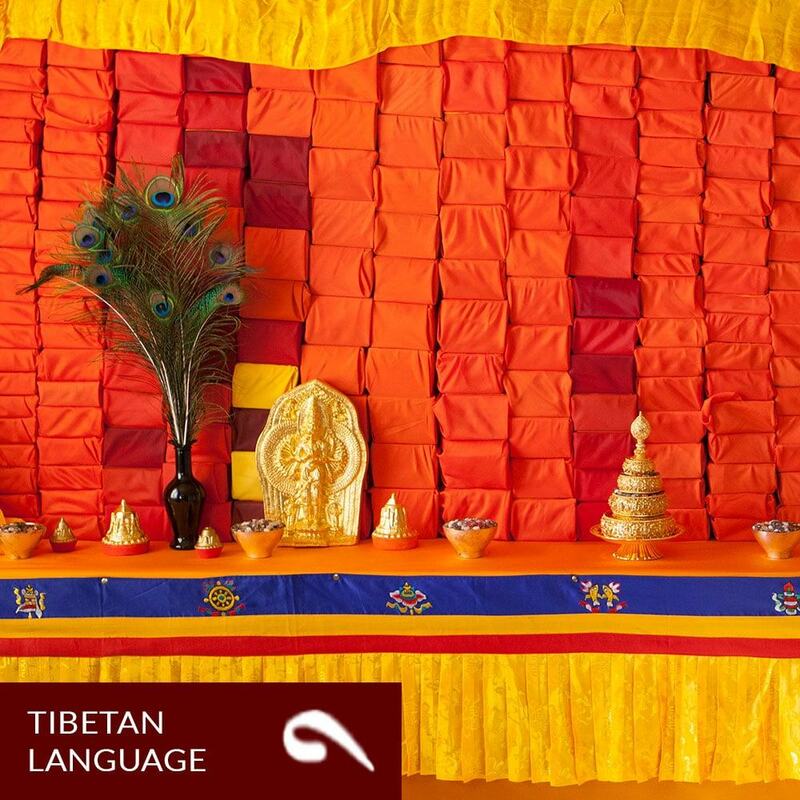 Since then Tibetan language classes have been offered continuously at the Institute. In all the Tibetan classes students are instructed in how to treat Tibetan texts with care and reverence, following traditional guidelines. As a student progresses through the program, the emphasis shifts from learning the basics of the alphabet, spelling, and grammar, through developing vocabulary and a sense of the structure of the language, to the finer points of grammar and nuances of meaning. The study materials are always sacred Buddhist texts: translations from Sanskrit into Tibetan or texts by Tibetan masters. For students, class participation and study are significant forms of Dharma practice. Viewed from this perspective, the benefits of the program can expand indefinitely.